It feels like i am at the Las Ventas where the most famous bull fights take place. Only that the arena is bigger and called INDIA. And the bulls here are the Suzuki S-Cross and the Hyundai Creta. The first competitor to enter the ring was the Creta last month. And today we have the opponent enter the ring. 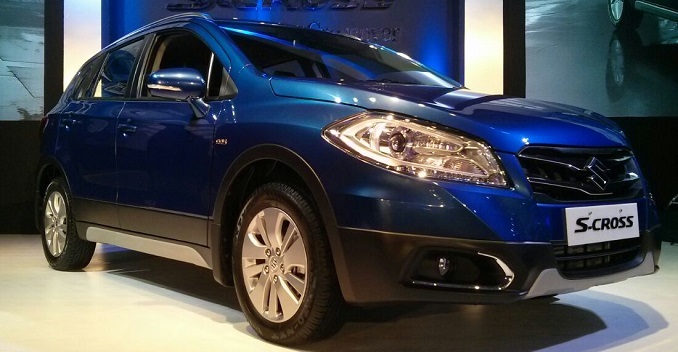 Suzuki S-Cross. Never before two biggest competitors have launched models in the same segment in such a short span of time. The S-Cross launch for Suzuki is huge considering the effort put in to shed the small car manufacturer tag. The S-Cross was launched today at a starting price of 8.34 lakh ex–showroom. The engine line-up of S-Cross will include two diesel engine options — 200 DDiS 1.3-litre diesel motor that can churn out 89bhp of power and 200Nm of torque, and 320 DDiS 1.6-litre diesel that is tuned to pump out 118bhp and 320Nm of torque. While the DDiS 200 engine will come paired to a 5-speed manual gearbox with an ARAI certified mileage figure of 23.65kmpl, the latter will get six-speed manual transmission and is tuned to deliver a fuel efficiency of 22.7kmpl. Some of the featuresAutomatic headlamp, in-built navigation system, rear camera display along with safety eqipment like Dual front air bag at the base variant, disc brakes all wheels, ABS. Considering the long waiting period of 6-9 months on the Creta, Suzuki has a chance to pull many customers towards the S-Cross, because nobody can handle volume better than Maruti Suzuki. Stay tuned for our review of the S-Cross which will be coming soon.